BEST-U project will promote the cross border cooperation by bringing together the different actors of the cross border area, in order to strengthen the development of the region and its transformation into a centre for sustainable development. 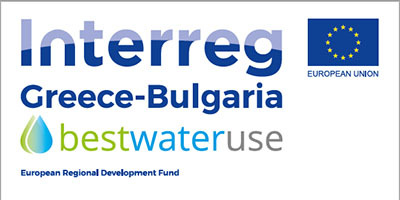 The Specific Objective of the project is to enhance water management, by promoting “green behavior” campaigns in the areas of water management, the implementation of pilot activities mainstreaming existing innovative methods/technologies and the formation of an overall educational policy of the local government. Actions contributing to the capacity building of stakeholders and decision makers in the management of water resources. Greece and Bulgaria, two neighbouring countries with a rich past, since the end of the 1990s have entered an era of closer co-operation, due to the INTERREG Programme “Greece-Bulgaria”.